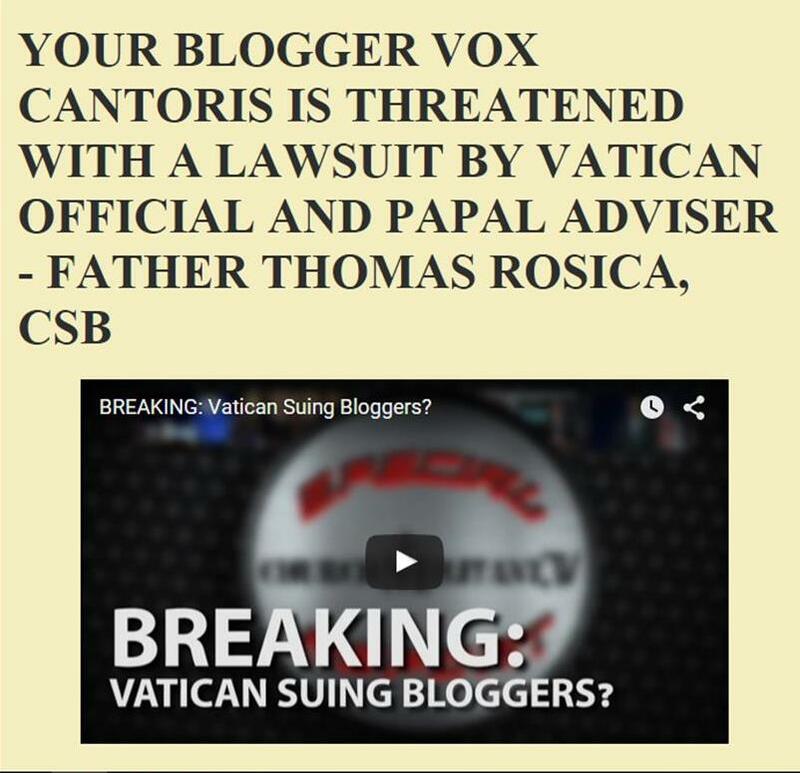 Vox Cantoris: Don't mess with the lay faithful! Don't mess with the lay faithful! hahaha! Oh my gosh. That is unbelievable. I wholeheartedly agree. This is why I say we must think outside the box and do something different. Those men expected the monkey to just fool around, nothing could hurt THEM. When the monkey gets serious they realize, this isn't the same old monkey. We need to put all things on the table, in terms of money we give to the church, our attendance at Mass, etc. We need to start asking serious questions, publicly and privately. We saw recently one, lone female voice calling out Vigano! Vigano! Vigano! And that voice tears through us, and should inspire us. We should ask ourselves, what can I do? We can all do something! They want to punish the man who defended Christ, the Church, and us? I don't think so.